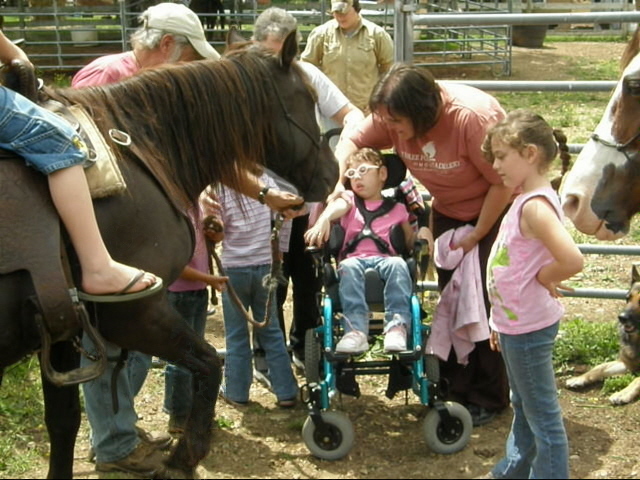 Calico Junction New Beginnings Ranch Special Needs Therapy - Calico Junction New Beginnings Ranch, Inc. 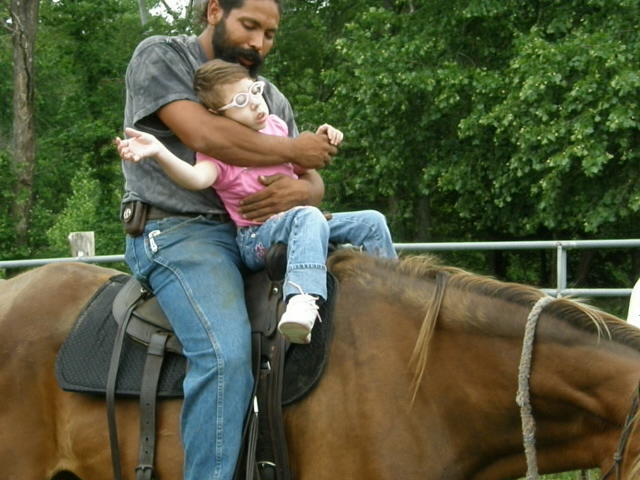 In equine therapy, children learn how to ride horses. This activity helps develop muscle tone, balance, motor skills, focus, and coordination. It is similar to physical therapy in its goals and the skills it helps create or develop, but it provides the child with a therapy in a comforting and even enjoyable atmosphere -- and that’s why it works. Here at Calico Junction New Beginnings Ranch we offer opportunities that not all facilities can provide. Our staff and volunteers are here to help bring joy and learning. Please join us.